Glasgow City took a huge early season step towards the title with a 1-0 win away at rivals Hibs on Friday night. Leanne Crichton’s 72nd minute header was enough to send City top for the first time this season, having played a game less. Hibs started brightly however and had two chances in the opening quarter of an hour. The foot of Jenna Clark was enough to block Kirsten Reilly’s goal-bound effort before Amy Gallacher passed up a glorious chance. The midfielder found herself unmarked when the ball was headed back across goal, but she could only direct her header over the bar and City survived. City were hoping this was just an early lapse but instead, Hibs continued to dominate the first half. They really should have went in front ten minutes before the break but after some poor defending, Rachel Small’s shot came crashing back off the bar from Lia Tweedie’s cut back. Siobhan Hunter then went close just before the break, however, the centre back’s volley flew just over the bar leaving it goalless at the interval. Some strong words from manager Scott Booth at half time seemed to give the away side the wake-up call they needed and they went close to opening the scoring on 58 minutes. Clare Shine beat the offside trap from Kirsty Howat’s pass and found herself through on goal but she waited too long, allowing Jenna Fife to close the angle and the keeper saved. The forward rounded the keeper soon after but fell to the ground before going near once more, touching the ball past the onrushing Fife, but the ball went wide. Hibs went right down the other end from the goal kick and almost took the lead when Reilly’s speculative effort forced Lee Alexander into a smart save. Tweedie had a free header from the corner but she couldn’t direct the ball on target. 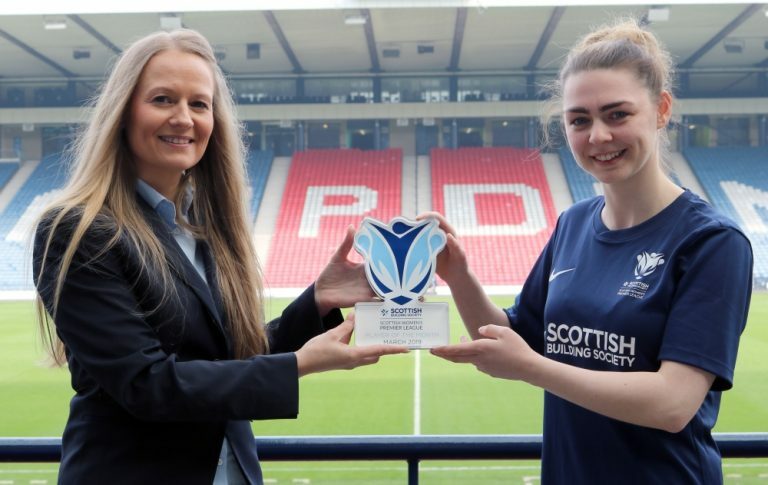 It wasn’t long before City took the lead though, Leanne Ross’s free-kick was deflected behind and from the resultant corner, Leanne Crichton rose highest to nod past Fife into the roof of the net. 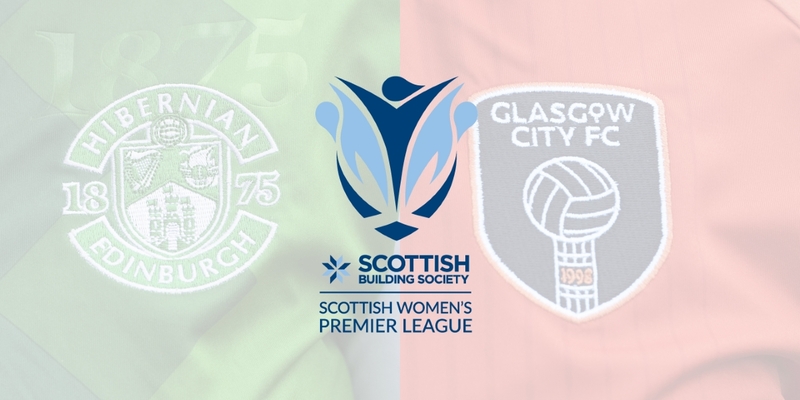 Straight from kick-off , Hibs went on the attack and won a corner which City struggled to deal with and were fortunate when the clearance came back off Carly Girasoli and behind for another corner. City should have added a second when Fife’s clearance deflected to Howat but the keeper reacted to stop the forward’s shot, before denying her again late on. Hibs pressed forward but couldn’t find an equaliser and City now go two points clear at the top, with a game in hand to come against Rangers.